Since Steve is a Klippan IKEA couch cover, he packs nicely and can be sent virtually anywhere in the world. Steve is machine washable on cold with light detergent, with a tumble dry setting on low heat. Make sure to stretch Steve over the couch while he’s still warm—that way he gets fewer wrinkles. 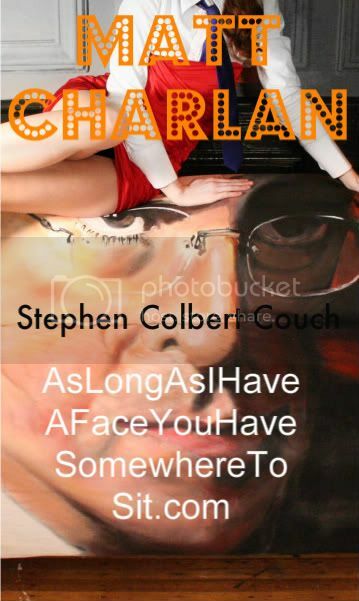 Stephen Colbert couch meets all your Colbert decor needs … Colbert couch? Colbert couch! Yep, this hand-painted couch can be yours for a mere $2000, which is quite the upcycle for an Ikea couch. Yep! It’s a Stephen Colbert couch to liven up your living room by Etsy seller Matt Charlan. The couch is priced at $2008.87 (for now). Thrillist unearths all that’s new, unknown or under-appreciated in your area.